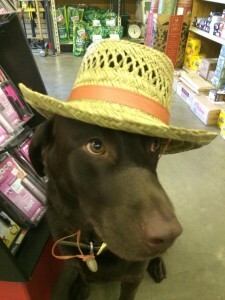 Here at J&N, our handsome chocolate lab, Max is a special part of our store! In fact, he has earned such a reputation that he now has his own page on our website! 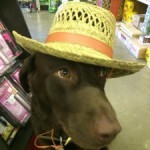 Check out “News from Max” on our website to see funny pictures of Max and to read some great tips that he has to share. To see what is going on in Max’s world, click here. This entry was posted on Thursday, August 28th, 2014 at 2:18 pm	and is filed under News & Updates. You can follow any responses to this entry through the RSS 2.0 feed. Both comments and pings are currently closed.